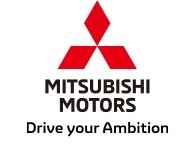 TOKYO, May 9, 2017 - (JCN Newswire) - Mitsubishi Motors Corporation (MMC) today announced financial results for the 12 months ending March 31, 2017, and published its financial outlook for the current fiscal year. The company reported an operating profit of 5.1 billion yen on revenues of 1.9 trillion yen for fiscal 2016, representing an operating margin of 0.3%. The full year figures reflect a sharp recovery in the second-half, after the company reversed the 31.6 billion yen operating loss reported in the six months to September 30 by delivering a 36.7 billion yen operating profit in the subsequent six-month period on revenues of 1.04 trillion yen, representing an operating margin of 3.5%. Osamu Masuko, President, Chief Executive Officer, said: "Mitsubishi Motors saw a stronger performance in the second-half of fiscal 2016, which enabled us to report a full-year net operating profit. Although our 12-month results were marred by the fuel economy scandal in Japan during the first half, we have begun a V-shaped recovery. Following the strategic investment by Nissan last fall, we are now seeing the initial benefits of our partnership and the first synergies from our membership of the wider Renault-Nissan Alliance." Global sales volume in Fiscal Year 2016 declined 12% year-on-year to 926,000 units. Unit sales recovered in the second half of the year in Japan - partly reflecting the resumption of Kei-car sales - and reached the planned volume in almost all other regions. The full-year net revenues for Fiscal Year 2016 decreased 16% year-on-year to 1.9 trillion yen. An operating loss in the first half of 31.6 billion yen was offset by a strong second-half performance to secure a full-year operating profit of 5.1 billion yen. The company recorded a full-year net loss of 198.5 billion yen, reflecting the fuel economy issue in the first half, but returned to profitability by generating net income of 21.1 billion yen in the second half. MMC today forecast that global sales in Fiscal Year 2017 would increase by 11% year-on-year to 1.029 million units. Sales are expected to be enhanced by new product launches including the "Eclipse Cross", a technically-advanced compact SUV, and new "compact MPVs" to be manufactured at the company's recently inaugurated plant in Indonesia. Sales in China are expected to benefit from increased production capacity at MMC's joint venture in the country and an enhanced Chinese dealer network. A continued recovery in Japan since the latter half of Fiscal 2016 is also likely to support overall growth. MMC filed the following financial forecast for FY2017 with the Tokyo Stock Exchange today: net sales are projected to rise 5% year-on-year to 2 trillion yen. Based on prudent exchange rate assumptions, MMC expects to achieve operating profits of 70 billion yen, representing a 3.5% operating margin. Net income is forecast to be 68 billion yen, which implies a recovery to the levels reported in Fiscal Year 2015. Mr. Masuko said: "In the year ahead, we will continue our reform program and accelerate investment in growth. This will help us achieve our V-shaped earnings recovery and further leverage our Alliance with Nissan. More specifically, during the next mid-term plan, we intend to increase our annual sales volume, which has hovered around 1 million units over the past 10 years, by 25% to 1.25 million units. "The combination of our volume expansion and efforts to improve operational efficiency will help the company to return to a sustainable operating margin of 6%. The management team is now developing plans to ensure we can achieve these goals during the next mid-term plan period to Fiscal Year 2019. We will strive to generate solid free cash flow, while also rewarding shareholders with a competitive dividend."